Talented women dominate this episode of the podcast. First up in a segment sponsored by First Run Features, is filmmaker Dena Seidel with her new documentary, "Antarctic Edge 70° South". Dena is the Director of the Rutgers Center for Digital Filmmaking. "Antarctic Edge" is a science-in-action feature film, funded in part by the National Science Foundation, following a renowned team of scientists studying climate change in the fastest winter-warming place in the world. This documentary combines innovative science, dramatic imagery and two decades of scientific collaboration into a compelling character-driven narrative. "Antarctic Edge" hits theaters in Spring 2015, beginning with a world theatrical premiere on April 17 at the Quad Cinema in New York City. Dena & special guests will be present for Q&As this evening, Friday, 4/17, 7:00 PM show and also tomorrow Saturday, 4/18 for the 5:00 & 7:00 PM shows. Next up is Lisa Durden who is the Broadcast Manager for the National Black Programming Consortium. Founded in 1979, the National Black Programming Consortium (NBPC) develops, produces and funds media content about the Black experience for public media outlets, including television, digital radio and online. Lisa is joined by filmmaker Carol Bash who has been greatly helped by the NBPC while making her new documentary, "Mary Lou Williams: The Lady Who Swings the Band", which will enjoy a screening at Reel Works —the sponsor of this segment— on Friday evening, 4/24 at 6:30PM in Park Slope. Both Lisa and Carol will be present for the screening and a post-screening Q&A. This segment is sponsored by Reel Works. 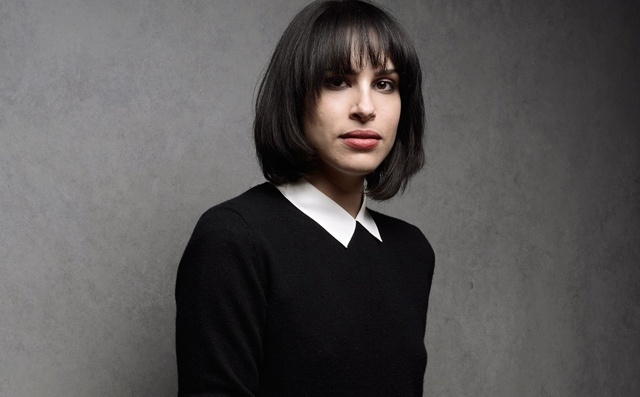 Lastly is director Desiree Akhavan. Her Sundance hit comedy, "Appropriate Behavior", is being released on DVD with loads of extras on April 28th by Kino Lorber. Desiree had a great year coming off the success of her comedy which is about a Persian American young woman who is afraid to come out to her parents and her zany life as a bi-sexual Brooklyn hipster. Desiree also appeared as a recurring character on the last season of HBO's Girls.